Happy as a sandboy that I have to announce confirmation of the commission to sculpt the British Memorial to the Battle of Waterloo to be unveiled in Hougemont in June 2015. 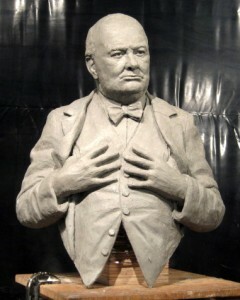 The bust of Churchill was unveiled at the Royal United Services Institute in Whitehall by Gen Sir Nicholas Houghton, Chief of the Defence Staff, on 18 December. 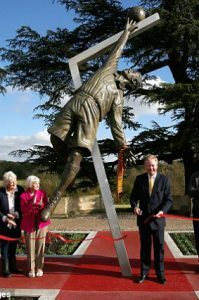 On the 70th anniversary of D Day, Vivien Mallock’s portrait busts of Maj Jack Watson of the Parachute Regiment and Lt Col ‘Tommy’ Harris of the Royal Ulster Rifles are due to be unveiled in Ranville and Caen respectively. 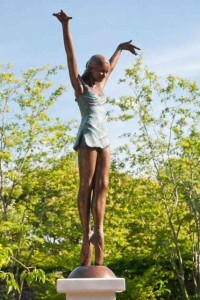 These pieces will bring her total number of sculptures of military personalities in Normandy to eight.